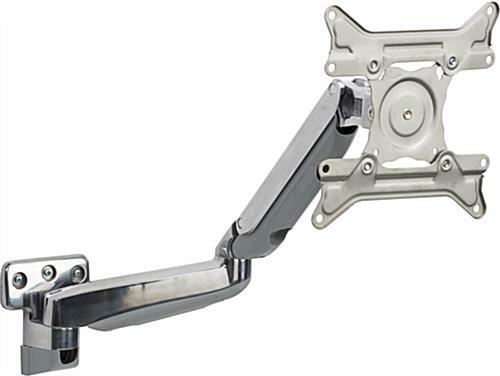 The flexible TV mount with articulating arm functionality is a full motion flat screen bracket that provides multiple viewing angles. 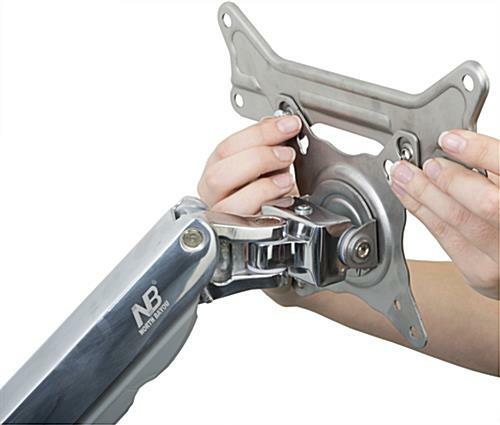 A 360˚ degree roll orients the panel horizontally or vertically. 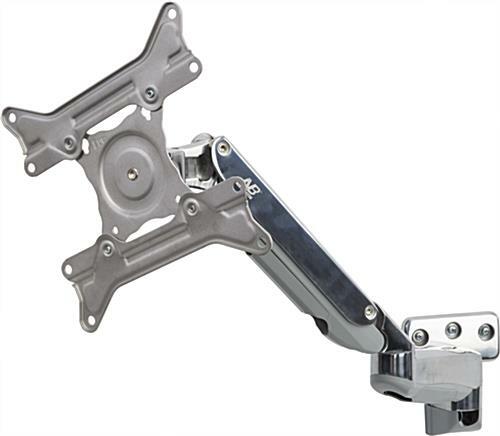 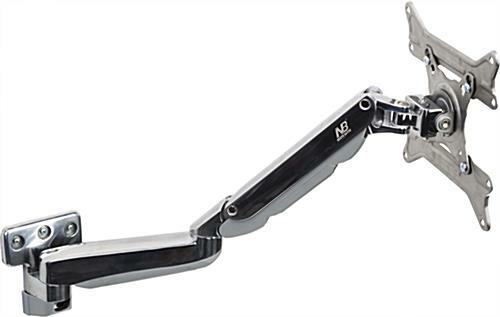 A lower and middle pivot joint provides the articulating TV mount with a wide range of swivel positions up to 180˚. 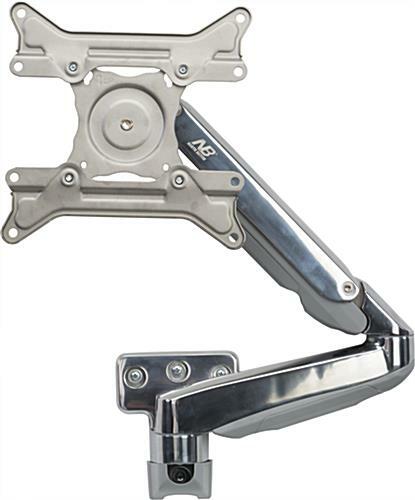 The arm technology is controlled by a built in gas strut for free motion as well as smooth and stable operation within a 21” pneumatic height range. 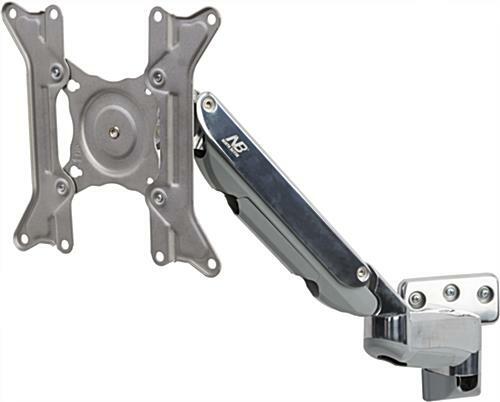 Display approximately 19”- 42” screens on the bracket of the TV mount weighing less than 25 lbs. 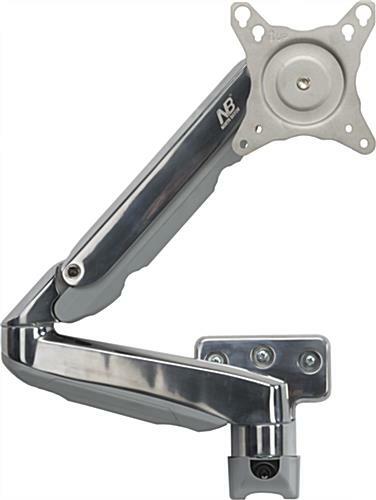 Tilt the monitor up or down to remove glares or to position into a comfortable viewing angle for a model picture from anywhere in a room.